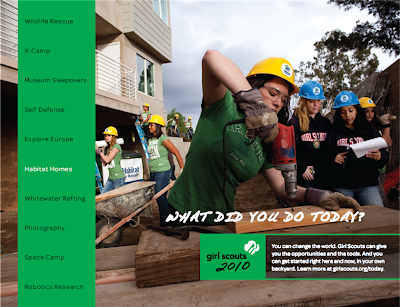 New York's Rome Sentinel reports that area Girl Scouts spent their spring break helping to build homes for those in need in Florida. As part of the "Disaster Relief Team", members come together each year during spring break in April and travel to areas throughout the U.S. to help with whatever is needed. This year they chose to work with Habitat for Humanity and help rebuild homes in Florida for those who lost them in recent storms. During the week, the girls spent their time building wall structures for the homes, painting and landscaping. Do Girl Scouts in your community come together to help those in need?